Guernsey Post's BATIF has been the Bailiwick's favourite foreign exchange service for over 25 years and offers 64 different currencies. As well as being able to order online, we have a network of locations, including Guernsey Post Office counters, the Information Desk at the airport and BATIF in the Guernsey Information Centre. Customers can also order by phone - 01481 723 069. All orders received by phone before 1pm will be processed at that day’s rate; for orders received after 1pm the following working day's rate will be applied. 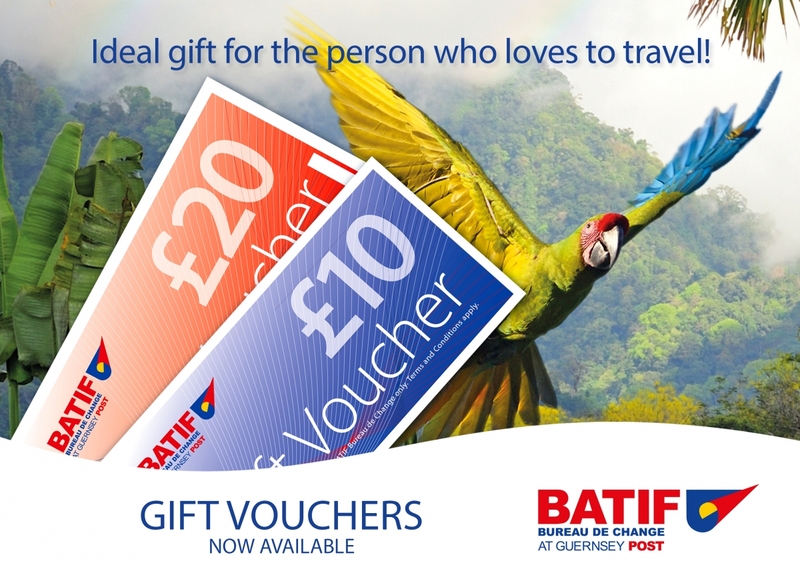 Gift vouchers available for purchase from BATIF in the Guernsey Information Building or call 723069 to place an order.